The role of the Safety and Security Manager (SSM) is to support security-related functions (i.e. site inspection and selection, Volunteer site visits, emergency planning, incident response, etc.) that are critical to post operations and Volunteer support. The Office of Safety and Security provides technical oversight of security related matters and SSM professional development. The SSM reports to the Country Director (CD) who manages day to day workload. 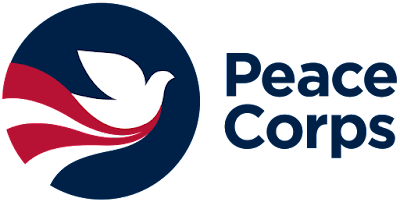 The SSM has primary responsibility for managing appropriate safety and security systems and procedures in compliance with Peace Corps policies, and develops risk mitigation and response strategies to implement the Post security program. The SSM is responsible for reporting non-compliance to the CD. Under the direct supervision of the CD, the SSM may also be the contact point with the Peace Corps Safety and Security Officer (PCSSO), Regional Security Advisor (RSA), Embassy security officials, and local law enforcement agencies in carrying out the responsibilities designated below or as directed by the CD. Technical review, evaluation and training will be conducted during PCSSO visits and through review of reports submitted and other materials produced. Establishes and monitors post’s system to collect site locator form information for the Volunteer Information Database (VIDA), updates the information as needed and controls for accuracy. Collaborates with programming staff to develop and monitor a system for site history data. Collaborates with programming staff to develop site selection criteria, protocols and a system to ensure that all Volunteer sites have been properly evaluated and documented. Participates in the annual completion of the safety and security section of the Administrative Management Control Survey (AMCS) and shares results with PCSSO. Ensures that a system is in place to monitor Volunteer/Trainee whereabouts. Ensures that an emergency communication system is in place that allows Volunteers and staff to communicate in a timely and effective manner in cases of emergency. In cooperation with other Post staff, regularly updates and monitors safety and security data in VIDA (i.e. emergency contact information, EAP events, etc.). Under direction from the CD, ensures critical PCSSO and/or RSO recommendations are adequately addressed within the timeframe/deadlines outlined. In collaboration with the Director of Programming and Training or equivalent, participates in the design, development and delivery of safety and security related Pre-Service Training (PST) and In-Service Training (IST) sessions. Collaborates with senior staff to ensure appropriate safety and security training is provided to post staff. Under the technical supervision of the PCSSO, works with the Training Manager to ensure that all safety and security learning objectives are integrated into Pre-Service Training/In-Service Training (PST/IST) and successful completion is documented. Regularly provides staff safety and security briefings/orientations to ensure that they understand roles and responsibilities with respect to safety and security; conducts emergency preparedness training as appropriate. Provides an overview of Peace Corps’ approach to safety and security and relevant, Post-specific, security concerns/considerations during training-of-trainer (TOT) events. Trains a back-up to assist with safety and security responsibilities during a crisis or when the SSM is unavailable. In coordination with programming and training staff, establishes that safety and security criteria for the selection of home-stay families. When appropriate, participates in the development and delivery of home-stay family orientation. Visits sites with conspicuous safety and security concerns as needed to recommend for or against final approval (e.g. areas of high crime or risk of natural disaster), or to identify mitigation strategies. Under the technical supervision of the PCSSO, collaborates with the programming staff and Peace Corps Medical Officer (PCMO) to develop Volunteer site and housing criteria and verifies that PCV sites and housing has been inspected and approved prior to occupancy. Ensures GPS coordinates are maintained in VIDA for Volunteer sites, consolidation points and other key locations in accordance with Agency procedures. Ensures that GPS data is kept up-to-date based on changes in Volunteer placement. Trains staff on the use of GPS equipment (if applicable) to ensure that any staff involved in site identification and Volunteer visits can capture GPS data. Compiles documentation on disaster-prone areas and ensures that programming staff are aware of that information as part of the site identification process and the approval process of Volunteer housing. Works with appropriate staff in mapping Volunteer sites and consolidation points. Communicating with the Assigned Security Specialist for guidance when required and according to the notification protocol. FOR ALL INCIDENTS - Ensures that reportable incidents are communicated to the CD in accordance with policies and procedures; serves as the point person for completing incident reports in the Consolidated Incident Reporting System (CIRS) per the Consolidated Incident Reporting Guidelines. Under the technical supervision of the PCSSO, makes recommendations to the Country Director for changes in training and program policy and procedures as they relate to Volunteer safety and security based on changes to the security environment at post. Under the direction of the PCSSO, participates in the Legal Environment Survey and subsequent revisions to accurately advise the CD and PCVs when crime incidents occur. In collaboration with the CD, assists in developing a plan for implementing PCSSO visit recommendations. This plan will be reviewed by the PCSSO and coordinated with the RSA. Provides regular updates on implementation progress and/or challenges to the CD and the PCSSO. In collaboration with the CD and under the technical supervision of the PCSSO, prioritizes and executes improvements to post’s safety and security systems. Serves as the main technical advisor to the CD and senior staff at Post during an emergency situation. Coordinates the testing of the EAP with Volunteers and staff at least once per year in accordance with the Agency’s EAP testing guidelines. In collaboration with other staff, prepares a written report of the results of the EAP test and submits it to the PCSSO for review before distribution to other relevant parties. Under the direction of the CD and the technical supervision of the PCSSO, coordinates an annual risk assessment and review of the EAP. Ensures that revisions to the EAP are made as needed. In coordination with the CD/DMO/RSO/PCSSO, ensures that office emergency drills are conducted according to applicable guidelines. Tests security equipment such as satellite phones, radios and other emergency devices periodically. Routinely trains users on the operation of all emergency equipment. Establishes and maintains open communication with both the PCSSO and the RSA, informing them of both problems and progress in the country, such as major incidents, changes in crime data and other information on new policies or programs affecting safety and security. Develops and maintains contact with Embassy security staff and local law enforcement to obtain crime updates and information needed for assessing the security environment of Post, and to foster relationships that can be leveraged during emergency situations or in response to crime incidents. Serves as post's primary safety and security contact/intermediary with other non-governmental organizations, volunteer organizations (e.g., VSO, JICA/JOCV, SNV, UNV, etc.) and other development agencies. Analyzes Crime Trends: Conducts annual crime trends analysis; shares results with staff and Volunteers as appropriate; and coordinates modifications of post’s safety and security program based on findings. Submits annual trends analysis to the Office of Safety and Security (i.e., PCSSO) and Region (i.e., RSA). Alerts to Program Managers and other staff about site-specific security concerns. Develops Resources and Policy: Develops and organizes safety and security resources such as manuals, handbooks, leaflets, pamphlets, slides, videos, and memos and makes their contents and Peace Corps policies known to staff and Volunteers. Coordinates Duty Officer Program: In collaboration with the CD and PCSSO, coordinates post duty officer system. Trains designated duty officers on their roles and responsibilities for responding to and reporting of incidents. Responsible for creating and monitoring monthly work schedules for the Safety and Security Assistant. Responsible for daily supervision of the Safety and Security Assistant to ensure adherence to Peace Corps policies and procedures. Responsible for ensuring the Safety and Security Assistant has the necessary equipment to fulfill their responsibilities and that it is in good working order. Frequent unplanned travel away from Surabaya, including overnight travel, is required. Candidate must be able to get a Department of State security clearance and must be able to get a Visa to the United States. Other Duties as Assigned: May perform other safety and security duties as assigned by the Country Director following consultation with and concurrence of the PCSSO or the Office of Safety and Security. High School Diploma with five (5) years of directly related work experience is required. College degree (S1) in social work, counseling, criminology, or security studies is strongly preferred. Please detail your professional experience supporting victims of crime with specific examples. Please detail your professional experience creating partnerships with law enforcement and/or community groups. Please detail your practical experience helping people improve their capacity through a training that you have designed and implemented. Friday June 16, 2017 at 10:00AM local Surabaya time.